#44. 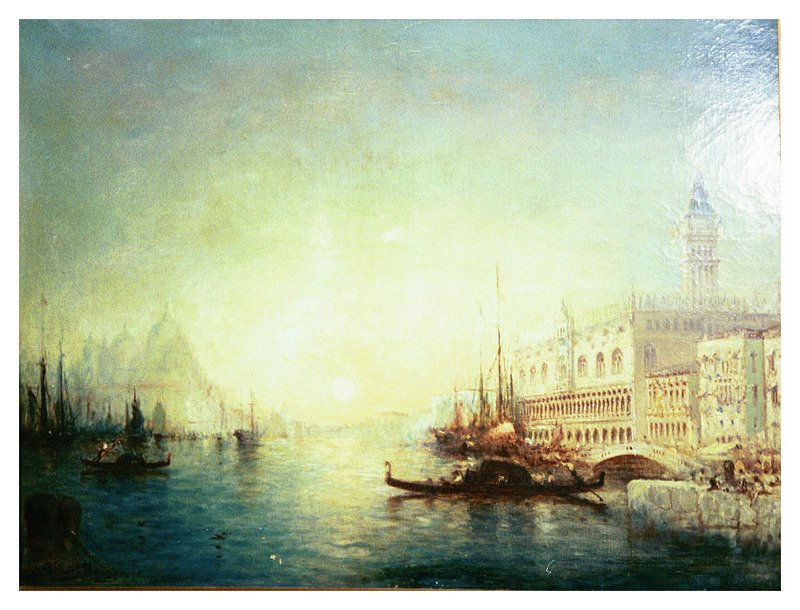 Entrance to Grand Canal, Venice. 27 x 36, oil on canvas. "Gilbert Munger 93" lower left. 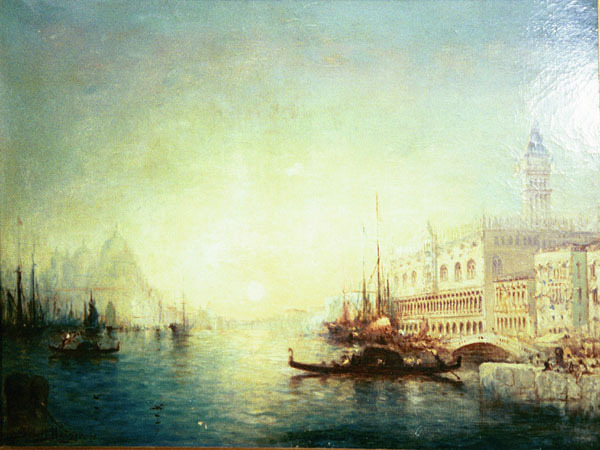 The date suggests that this was painted about the time Munger returned from Europe to New York City, probably well after his last visit to Venice. The canvas and frame show a Paris materials supplier marks from "F. Dupre." The painting sold for $6,500 + 15% at the Doyle New York auction of 24 May 2000, lot 38, est $3,000-4,000. Image from author's photo.